All outdoor enthusiasts who take the sport of small game hunting seriously know the value that is put on having a well-bred gundog with them during the long awaited hunting season. The fact is, without a good dog you may as well leave your shotgun at home and spend the day by taking a walk in the park. It is very difficult for anyone to have a successful day small game hunting without using a properly bred sporting dog to seek-out and flush game to harvest. Although, having a well-bred spaniel is not enough. The raw genetics that professional breeders invest so much time and effort to develop in their strain of dogs is not the only solution to having a very successful day in the field. Naturally, seventy-five percent of this game starts with the genetics and bloodlines of your sporting dog. This is the foundation to having success in fulfilling your needs for a family/hunting companion. However, this is only the foundation on which to build upon. 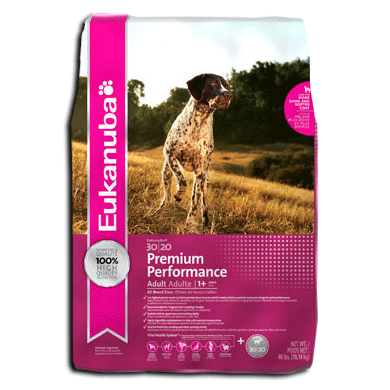 The framework is developed in the form of a sound structure and proper development of the pups’ temperament at a very young age. Genetics, a well-rounded and fully developed temperament, will set the stage for the final requirement in making your young prospect a productive gundog. Too many times I see folks spend the proper time and research necessary in locating a professional breeder that has developed the strain of dog that will satisfy their needs. 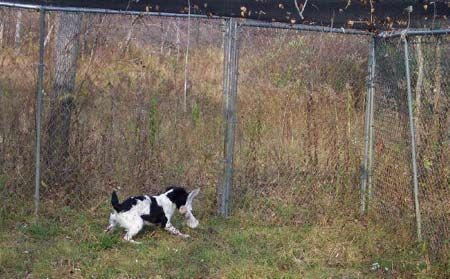 Invest all the pain-staking efforts into developing a good well-rounded, solid temperament than fall short and drop the ball when it comes time for the final stage needed for their young prospect, which is proper gundog training. Typically, many will get started into the beginning stages of training. Taking pride in the early stage of training as junior seems to learn very quickly and with ease. However, as time and task begin to gain in complexity they begin to question themselves as to whether they are taking the proper steps in developmental training and begin to doubt their ability to finish the job successfully. Others will acquire some sort of a training manual only to find that there are some issues that arise during the training process that this manual does not cover. Again, the novice starts to ask himself, “How do I correct this issue so I can proceed to the next level?” Naturally, others will find that their hectic schedule in reality has not allowed as much time as they assumed they would have to concentrate on schooling junior for the art of upland game hunting. A training pen is a valuable asset to the professional. If I had to guess as to what is the largest obstacle most novice trainers face, I would have to say that the lack of birds for training and the accessibility to proper training grounds are the largest issues that usually arise. Lets face it, folks, if you do not train your gundog on live game you are not going to have a successful program in the final stages. Thus, the final stage of training your gundog for upland hunting goes aria. So the scenario begins; opening day of bird season has arrived quicker than expected. The young spaniel now is about ten months of age but has very little schooling in the art of finding and retrieving game and little, if any, guns fired over him. Naturally, the owner now has the itch to go shoot some birds over his prodigy. So off they go looking for the quarry that is in season. For some, the game is over very quickly; improper or absolutely no gun breaking training has ended the fun abruptly. With the first shot, the young spaniel has headed for South Dakota with its tail between its legs. Others will be a little luckier and their young spaniel has handled gunfire okay, and they continued on. However, as the season goes on the spaniel becomes so overwhelmed with the excitement of this new experience of using its nose in the production of game that now the pup is out hunting for itself, well out of gun range. There is nothing more frustrating to an upland bird hunter than trying to keep a young dog within gun range. The young spaniel just wants to go out and find birds for himself, and attempting to get the dog to respond to commands while he is in this frenzy state is just frustrating.